Scandyna appoints Tascom International as its new UK distributor | What Hi-Fi? Danish speaker company Scandyna, maker of the iconic Minipod, Micropod and Active speaker designs, has appointed Tascom International as its new UK distributor. 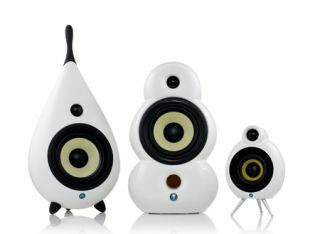 Scandyna's range includes six speaker models – the Megapod, Bigpod, Minipod, Smallpod, Micropod and The Drop – four subwoofers called Bass Station, MiniBass, The Ball and The Ball 2.1, plus an Class D ampliifer. Active versions of the Smallpod and Micropod are also available, as is the Cinepod, a dedicated centre speaker for home cinema systems. Alan Gornall of Tascom International says: "Having admired the brand for years, we are delighted to be appointed the UK distributor for Scandyna. Our inital focus will be to set up good distribution through the right retailers."